On Thursday, legendary musician Prince was found dead at his home in Minnesota at the age of 57. He had been hospitalized six days prior to his death with what were reported to be flu-like symptoms; his representatives said at the time that he had been battling a bad bout of flu for weeks, which had forced him to cancel two scheduled shows. Just five days prior to his death, Prince made what would be his last appearance at a concert, showing up at a local dance party near his Paisley Park home. Eerily, according to TMZ, he said to the crowd, "Wait a few days before you waste any prayers." TMZ was the first outlet to report on Prince's death, and the entertainment outlet also reported on his last public appearance, noting that Prince showed up at a $10-entry dance party because, according to TMZ, "We're told Prince wanted people to have living proof he's still living." He didn't sing during his final appearance, but instead arrived on the stage at roughly midnight, according to TMZ, and showed the crowd some of his brand-new equipment — a piano and a guitar. 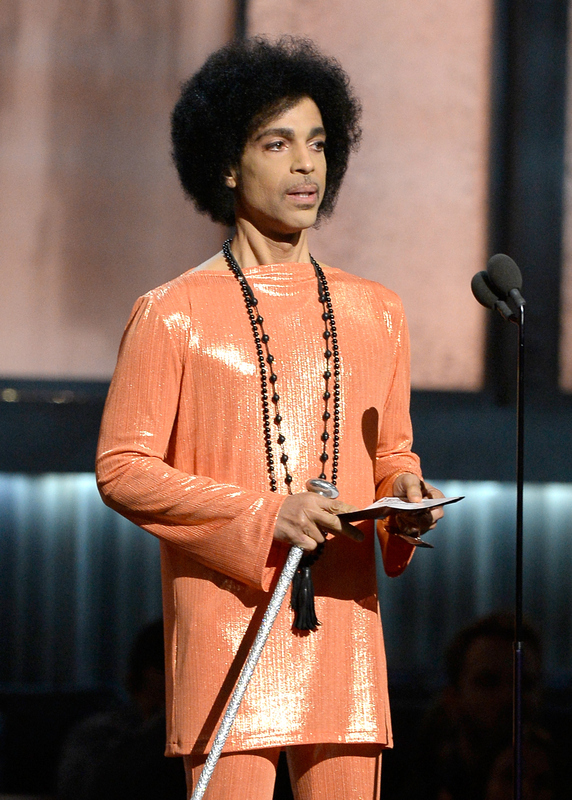 He spoke a few words to the crowd, and left the stage to return to his Paisley Park home. Few photos are available of his last public appearance at that dance party, although TMZ posted one to its website in its report. In the photograph, taken from the back of the stage, Prince looks like his trademark self, and his fans look enraptured as he speaks into the microphone. The cause of Prince's death is still unclear, and it's not known whether it was linked to the flu symptoms Prince had been suffering in the weeks prior to his death. Prince's publicist and the local sheriff's department each confirmed that he was found unresponsive in his home.